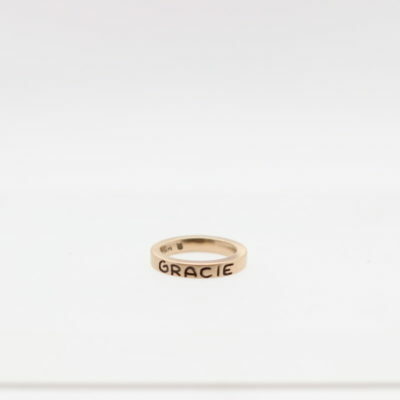 All Mother’s Rings are made to order and carved by hand so matching lettering will vary, all rings have a satin finish once completed. Each ring can contain 14-20 characters based on finger size. 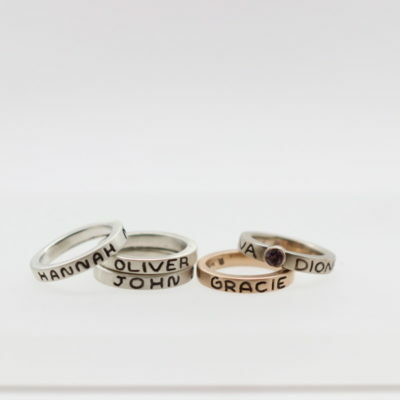 A faceted birthstone may also be added to any Mother’s Ring you are having created. 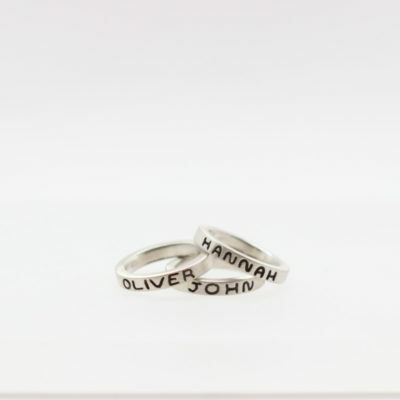 Since our Mother’s Rings are hand carved, you are not limited to just names being carved on the ring. Popular options are birth dates, initials, or “woo pig sooie”. “From the heart to the hand, as if your child wrote their name for the very first time”.